Approximately 15 pcs 1 lb. Borosilicate Colored Glass Asian Rod and Tubing, 33 COE Mixed Colors Economy Pack with Excellent Thermal Qualities. 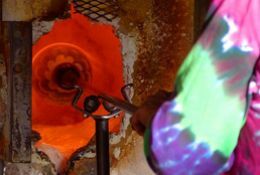 Each China Borosilicate glass rod measures 16-inches in length and approximately 5 to 7 millimeters / 0.19 to 0.27-inches in diameter. 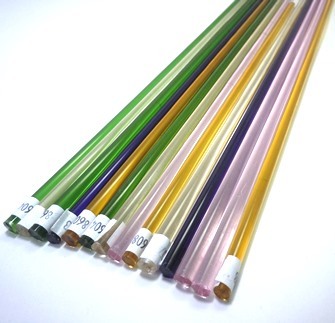 Each 1-pound glass tubing assortment features approximately 15 pieces of boro glass rods.